We need to remind ourselves from time to time that most of what we know about communities and leadership isn’t new; it’s relearned. Here’s an example: a project called the “Montana Study.” The name is misleading, since it wasn’t really a study. Rather, it was a civic experiment that took place in small, windblown towns in Montana during and just after World War II. By the time it was finished, some of its sponsors consider it a flop – or, if not a flop, not of much interest. But on the contrary, the Montana Study showed us something inspiring and important: that average people living in unexciting places could do remarkable things in behalf of their communities. It was the first and one of the most important large-scale demonstrations of community citizenship ever mounted in the U.S. Only problem was, once it was demonstrated, it was almost entirely forgotten. That may have been because of where it took place: in tiny towns scattered across a large and remote state. Or the timing: There was a lot on Americans’ minds in the mid-1940s. Or it could have been a result of its academic origins and the confusion caused by its name. Whatever the reason, it’s a shame the Montana Study faded in memory because there was nothing academic about its aim, approach or results, and the lessons learned apply just as well to communities large and small today. 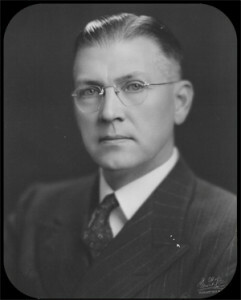 The Montana Study was the brainchild of Ernest O. Melby, the energetic chancellor of the University of Montana system. (An admirer called him “the crusadin’ist educator this state had ever seen.”) Melby was worried about many problems facing Montana, but one of the most worrisome was what would happen to its small towns after World War II. The war was in its third year for Americans, and people like Melby were looking forward to the soldiers’ return. But would they come back to the cattle towns of Montana they had left in 1941 and 1942? And it wasn’t just the soldiers; others had left for work in urban war factories. Would these men and women come back to Saugus once they’d seen Chicago? Melby thought the best way to bring back the young – and hold on to future generations – was for the towns to make themselves more interesting. So he approached the Rockefeller Foundation with an idea: Help us put together an experiment in engaging citizens in small Montana towns in improving their communities through study, discussion and action. The approach was simple, unhurried and open-ended. The professors asked the community to organize a group of people who more or less matched the community’s demographics and were willing to devote 10 weeks to study and discussion. Then they offered a framework for the discussions: The first week was “Why Are We Here,” a look at town history. The second was “Our Town and Its People,” a discussion of demographics and origins. Another week was a look at the local economy called “Our Town and Its Work.” Another was “How to Make Life Better in Our Town.” And so on. Each study group member was asked to research and write a paper to guide one of the discussions. At every session, a member took notes. The professors took the notes back to Missoula, where they typed them up and (using the technology of the day) mimeographed and returned the notes to the group as a record. Looking back, you might call these discussions consciousness-raising exercises. They were a way of showing citizens how to see problems and opportunities with a fresh perspective and talk about them in new ways. But then what? At the end of the 10 weeks, the professors asked if the group wanted to do anything more than talk, if they wanted to take on some kind of improvement project. Of the 15 communities that the Montana Study worked in, most did. And as they did, something wonderful happened: The academics stood aside and the citizens took charge. In Lonepine, members of the study group organized their fellow citizens to build a community library. In Conrad, they rallied neighbors to build a recreation center. In Lewistown, they started a folk festival. Some places even went on to create permanent citizens’ committees. The Greater Libby Association stayed together for years, lobbying for a new hospital, tourist attractions and two school bond referendums. 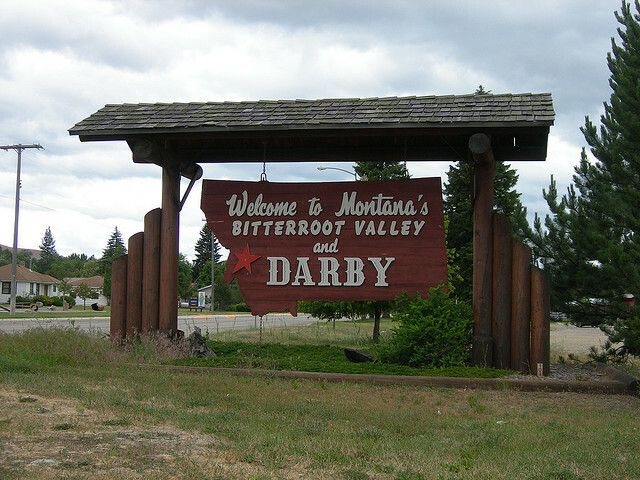 One town, Darby, created a pageant, “Darby Looks at Itself,” that was built around the things the study group had learned about the town. It had a cast of 125 people, plus members of the high school orchestra – in all, better than a fifth of the town’s entire population. A central figure in the drama was the Devil, who represented “outmoded thinking” about natural resources. At the end of the play, a group of woodsmen, worried about forest depletion, threw the Devil off the stage. Unfortunately, the Montana Study no longer had Ernest Melby, who had moved from Missoula to, of all places, New York to be a dean at New York University. And for all the good it did in these communities, the Montana Study’s organizers neglected to build institutional or political support. After Melby left, academics at Montana’s colleges made it clear they weren’t interested in tromping around the state, helping people with community problems. The Rockefeller Foundation declined to fund the project any longer, and the Montana Legislature said no as well.
. . . The Montana Study is of the greatest significance to America’s small communities themselves, no matter where they may be. For here is a technique through which ordinary men and women can coordinate for their own welfare the forces of education, religion, government, economics, culture, and democratic neighborliness, and by this simple means can lift the whole level of living in America. And, as the people of Conrad and Libby have shown, it can be done without the presence of outside experts. Any group of civic-minded men and women in any small community who desire to improve their own town, and are willing to take the trouble, can of their own initiative utilize the techniques of the Montana Study. When I learned of the Montana Study a few years ago and got hold of the two books about it and the handful of academic papers, it was like finding my own community work – and the work of others I’ve admired – sealed in a time capsule from another era. All the elements of modern-day citizen engagement are there: Seek a cross-section of the community, offer them a structured approach to learning, put them in charge of their own research and discussions, don’t direct but seek only to facilitate. In the end, ask them if they want to go further – and accept if they don’t. But know this: Once most people have been awakened to new possibilities and new ways of thinking about their towns, cities or neighborhoods, they won’t be comfortable with the old ways. And most times they’ll want to turn that new understanding into action. That’s what happened in Lonepine and a dozen other Montana towns in the 1940s. It could happen in your city too. I’d love to get a look at the information you have about the Montana Study. Tim: There are a couple of books about the Montana Study. One you may be able to buy though Amazon’s second-hand book network is “Small Town Renaissance: Story of the Montana Study” by Richard Waverly Poston. And there are a number of articles about the project that have appeared over the years, mostly in academic journals and regional history magazines. A brief one you can read for free can be found at http://www.montanaheritageproject.org/edheritage/mont/monstudy.htm. If you Google “Montana Study” and “Melby,” you should be able to find lots of sources. Finally, if you have access to a college library, Jstor would have the articles that have appeared in academic periodicals. Good luck.